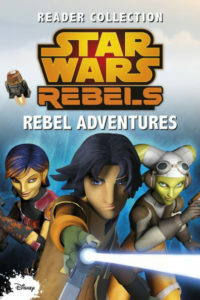 Join the rebels on exciting adventures throughout the galaxy! Meet one of the most terrifying villains in the Empire, Darth Vader. Join Ezra and his rebel friends as they battle against the evil Empire. Discover how the rebels escape the Empire’s traps and fight for Lothal. Hinweis: Dieser Band war nur bei Barnes & Noble erhältlich.